The Kodak Alaris i5850 Scanner is intended for high-volume scanning with unlimited daily duty cycles. This award-winning floor standing production scanner is the choice of the most demanding customers in the toughest scanning environments – busy mailrooms, production departments, service bureaus, business process outsourcing organizations and corporate scanning departments. 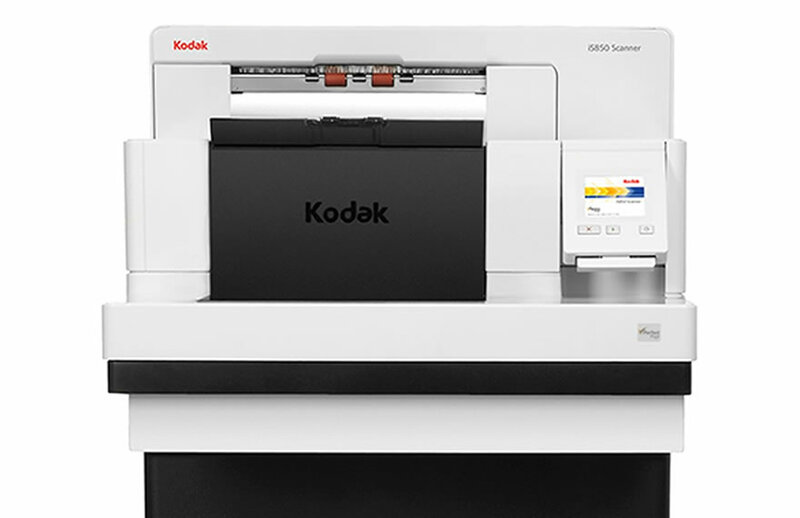 The Kodak Alaris i5850 scanner can maintain high-speed throughput even at 300 dpi and reliably deliver exceptionally clear and sharp images, reducing the need for quality assurance checks or rescans. Equipped with Dynamic Flow Technology for optimized memory allocation, it is able to find the most efficient way to scan, perform imaging functions and extract data. This document scanner’s advanced efficiency features handle the most complex tasks and difficult documents easily. Download the complete Kodak Alaris i5850 Scanner Specifications here. Explore other production document scanner models in the Kodak Alaris i5000 Series here.